A rash of missing person’s cases has drawn the attention of Armen Potestas. Armen is the leader of the Fera Venator (the Huntsmen), a secret society sworn to protect humanity from any and all evil that threatens it. 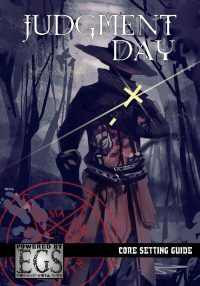 After looking into the most recent case, Armen believes that a vampire threatens the city. Of Orchids and Oaths presents a 1930s adventure for 4-6 Seasoned characters, set within Shadowed Earth. The PCs investigation leads them into Chicago where there is much more going on than what lurks on the surface. The deeper they investigate, the more weirdness they uncover. A standalone adventure module for modern Shadowed Earth settings. Additional encounters to scale or extend the adventure. A look into the forces behind the incidents. Veiled Adventures #01: Of Orchids and Oaths is not a standalone game and requires the Entropic Gaming System core rulebook. Although designed to be used within a modern Shadowed Earth setting, such as Judgment Day, the OGL material can be used with any Entropic Gaming System product. 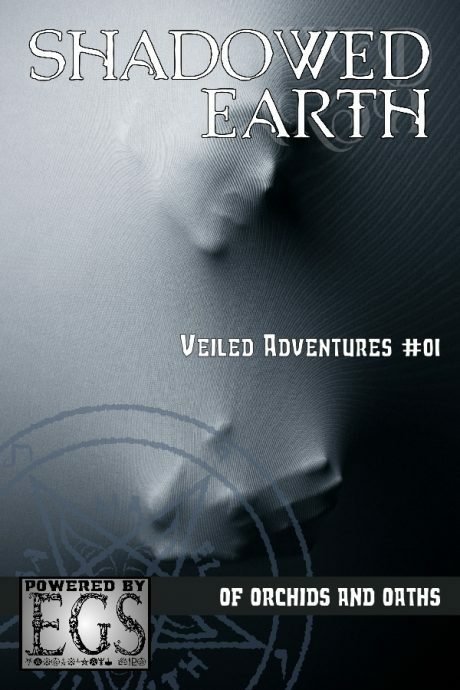 The Veiled Adventures series presents standalone adventures for one or more of Mystical Throne Entertainment’s Shadowed Earth settings.